I have an 80-mile commute eachday, 95% freeway cruising @75mph with little to no traffic. Need something that is not super boring to drive, that has ok power for freeway merging/passing and has reasonable fuel economy. A comfortable seat is a plus. Don'tneed a lot of space, but sometimes I need to drop my kids at school so need at least 4 seats. I am not afraid of working on my own cars, so I can manage most mechanical repairs/maintenance that used cars require. Thanks! 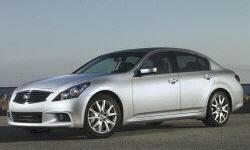 You might consider a 2011-12 Infiniti G37 which can be AWD depending upon your weather environment. Not great fuel economy if that is important but very fun to drive. Acura TL or TSX, newer CPO F30 BMW 3 series, or maybe a V6 Accord. The Infiniti Q50 is cheap in my area used, but those use the artificial and controversial steer-by-wire system. The G35 might be good as well, but will use more gas. 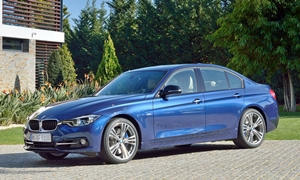 The 3 series is very efficient, but I think only the new series of engines are reliable. These engines are designated with a B and I think were introduced for 2015. 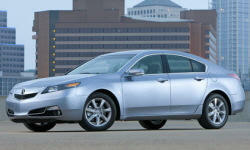 The Acura TL and Accord V6 are not super fun to drive, but are quick, reliable, and pretty cheap. MPG isn't the best. I don't know if they are quick enough, but the Jetta and Passat TDIs are efficient and excel on the highway. The steer-by-wire system has always been optional on the Q50, and I doubt it's on many cars. Fuel economy is more of an issue. 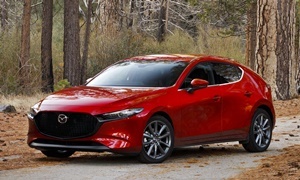 Depending on how much power and space you need, a 2014 and up Mazda3 2.5 or a Mazda6 could fit the bill. Also check that they're not too loud inside. 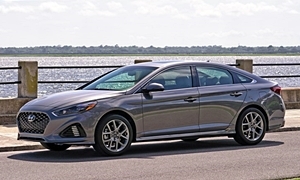 A Hyundai Elantra GT, Hyundai Sonata 2.0T, or Kia Optima 2.0T might also provide the combination you're looking for at an attractive price. If you specify what you like and dislike about the above suggestions we could probably make more precisely tailored ones. You mentioned you want to fix the car yourself. You did not give an indication on how difficult a job you want to handle. All the cars mentioned by MSA and Electrofuel are not bad, but being luxury models are just harder to fix when something goes wrong (more electronics, more expensive). 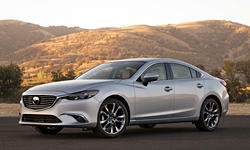 The cars Michael Karesh mention are more family sedan cars which will be easier to fix and have less to go wrong. Just something to consider when seeing all the cars recommended here. 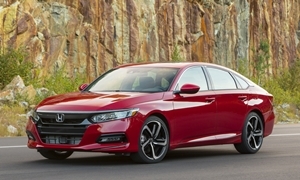 Price is another concern, as you may have to go pretty old on those luxury cars to get into your price range of $13,000 or less. I like the G37 as an option, looking at a 2013 with sport package, but those are rare. Interesting option, looks like a solid car with great performance for the $$$. The 3 series has always been up there too, always wanted an E90 330 with manual trans. The new model looks pretty nice, although I am wary of the new 4 cyl turbo engines. Had no trouble wrenching on my E36/E39 back in the days. Michael, I agree on the mazda3, always liked it and have test driven a couple of times but seemed a bit too small and a bit underpowered. It was fun and economical for sure. I will revisit this option with the larger engine. 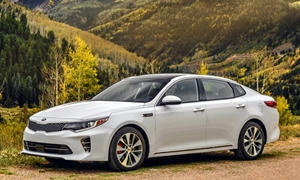 Michael beat me to the punch on the Kia Optima & Mazda 6. M6 is a real sleeper IMO. Can be fun to drive, relatively economical, extremely reliable. Main drawback is its abit noisier than others. But I've got to ask: how ya gonna have fun driving on the freeway for 80 miles at 75 mph? With that in mind you might want consider a little larger more comfy car, - especially given that you have four kids and their gear to haul around. 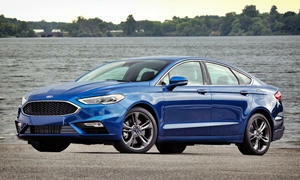 So I would add both the Ford Fusion and Hyundai Sonata to your look see list. Both are very comfortable, reasonable performers with the Fusion being better than Sonata in handling category. Sonata trumps in relialbility. Last but not least both get decent MPG and are available as a hybrid if you want to help save the dinosoars. 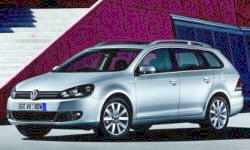 Dawned on me this morning that no one has mentioned a VW Golf. Smaller than other suggestions, but defintely capable of being fun as well as comfortable for a small car. That plus decent cargo room, good mileage (you would probably get 35 -38 mpg on your daily drive. Lots of good safety features, Apple CarPlay... Some will dicker about VW gremlins, but some turn out to be quite reliable - sometmes you gotta be prepared to pay to play! 2015 or later recommended. I would agree Danlisahall but look at that price point - and then try to find a VW Golf 2015 or newer within that price point? I can find a couple in my area, but they are the basic bare bones 2015 model - with cloth seats, no power options, and a stick shift. So yes, I guess you can say that - but within that price point, very difficult to get that model. Generally have to go older than 2015. A BMW 3 series for $13K is awfully tempting but really a crap shoot when it comes to expensive repairs (especially all the ridiculous cooling system and oil leak issues). 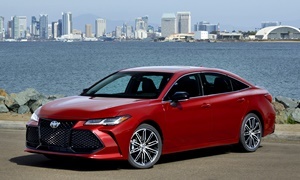 BTW another nice freeway cruiser that is fast and reliable is a 2013 + Toyota Avalon. Just drove one and it is supringly fun to toss around and quick (5.8 sec 0-60). If you look and bargain hard you might get a decent example for your max price. Forgot to mention I'd stay with the stadard (non sport) suspension on the G37 for highway driving - the handling is already above beyond most cars so why compromise ride quality. The 7 speed auto allows low rpms at 80 - 85 mph to save gas. From all the research I have done the G seems to have pretty darn good reliability plus it can be repaired by any Nissan dealer. I found several VW Golfs in the OPs price range in Seattle area on craigslist -- they are a very popular, common car here in the PNW. Remember when getting a used car, the list price is the starting point, not the final price. In most cases good negotiation skills and having the money in the bank will bring the price down 5-10% or more..
https://seattle.craigslist.org/est/cto/d/bellevue-2016-vw-golf/6795757114.html 2016 at $13,500 with only 30,000 miles. Looks like mid range SE model, has AT pano sunroof, leatherette seats (much better than the sound(, probably a few other goodies. https://seattle.craigslist.org/skc/ctd/d/tacoma-2017-volkswagen-golf-18t/6808750659.html 2017 at $15,500 W 21,5000 miles, AT. Happy hunting, would love to here what you end up with. Danlisahall, you are spot on. Actually, my wife drives a '16 tornado red GTI and its been really reliable now at 31k mi. Fun factor is up there too. +34mpg on fwy is nice. Plus the practicality of ahatch. Nice power band, torquey engine, the DSG is really good. I thought hard about going with a Golf SE as a commuter, but kinda strange to have two mk7's right? 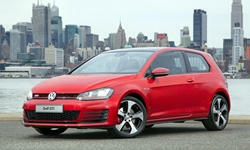 ;) and after driving the GTI I don't know how I would feel about the lower spec golf. I'll be test driving some of your recommendationsthis weekend (a 2013 G37 and will visit the mazda lot too), again thank you for your valuable feedback. Danlisahall - you just proved my point with both of those listings, both over the price point. Sure you can negotiate anything down, depending on demand in the market. For jollies I called one and asked for the car $1000 below what was offered, they told me to come in and we could negotiate, but on the spot, no, they would not offer that off. Good news - the second car you listed at over $15k they dropped in price already, $1000. So if they are not selling, he has a better chance to get it in his price range in CT - although I note that more expensive one has the tiny 1.8 liter motor, and does not list many options - so a near bare-bones model as well. If he is willing to go to a dealer and fight he might get the VW into his price - but there is little other way to go down to $13,000 - at least in my market (CT) and in the years you mention. AcuraT: Well you certainly went the extra mile in an effort to prove yourself correct ("For jollies I called one and asked for the car $1000 below what was offered"). Gotta give you kudo's for doing your research! 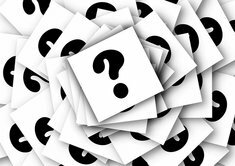 But a phone call to the seller is hardly negotiation - especially if the receipent has call ID and can see that the call came from the other coast. I could be wrong but I strongly suspect showing up in person with a check in hand and "I'm ready to drive this car home today" attitude would have had significantly more impact on the price. Partly depends on whether the car has been for sale for 3 days or 3 weeks. I have purchased more cars than I can recall for myself, family members, and friends (primarily single women) and never paid asking price.Every seller has a bottom line which is rarely the initial asking price and every car is only worth as much as someone is willing to pay for it. Certainly everyone's expericences are different and the market is different in every location.